In this week’s blog, part one of a series, Lea looks at creating a special place, be it in the family home or the classroom where calm is fostered as a practical example of bringing a slower, calmer practice to all our lives. Mindful living is becoming something we strive towards more and more in modern life, but how can we teach children mindfulness? Mindfulness is certainly not something just reserved for adults, the art of connecting with the present moment, taking our time to do things slowly and appreciating the little things is something we should be teaching children from a young age, an invaluable life skill for so many reasons. And where better to learn such a great skill for life than at school? Here we present five easy ideas to help teachers incorporate mindfulness exercises and activities into the classroom. Introduce a daily ritual of taking two minutes at the start of the class’ day and again after lunch to help yourself and the kids in your class to ground, ready to learn! What do we mean by grounding? Grounding means connecting to our own bodies, the earth and our connection to it, getting out of your head and into the body in the present moment. Signs of being ungrounded include hyperactivity, racing thoughts, inability to sit still, inability to concentrate, sound familiar in the classroom with your students? Begin by sitting comfortably in a chair with your feet flat on the floor hip distance apart (shoes on or off). Make sure your nice and comfortable and then become still, like a tree. Take a slow deep breath in and out, and another breath in, and out, and one more in and out. Close down your eyes. Bring your attention to your body. Focus on the weight on your body as you sit on the chair. Now bring your attention to your feet and think about your feet as being very very heavy. Can you feel the heaviness of your feet? Feel the weight pulling downwards towards the floor. Now focus on the soles of your feet. Feel the contact of your feet with the floor and the earth beneath it. Continue to focus on the soles of the feet silently feeling the connection to the earth for the remaining time. The aim of this exercise is to get the student to focus their attention, quiet down and settle their minds ready for a successful class full of learning. Mindful eating involves paying attention to the food you are eating, how it feels in your body, being grateful for the nourishment you’re giving your body and noticing when you are full or still hungry. Any opportunity for kids to practice mindfulness is a good thing, to be able to practice paying attention to the present moment and take joy from simple activities can only be positive! 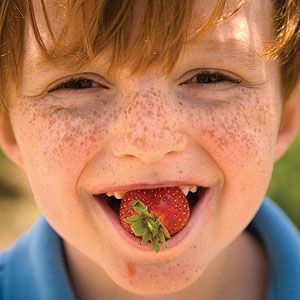 But mindful eating has the added bonus of helping kids to develop a healthy relationship with food, to pay attention to their bodies and not just eat mindlessly, either too much or too little. What colour is your food? What is the texture of your food? Is it soft or hard? Light or heavy? Sticky or dry? What flavours can you taste in your food? How does it feel in your body as you eat it? Can you feel it moving from your mouth to your stomach or not? Think of a way to make it into a game and you’ll have an even better chance of getting this exercise adopted at mealtimes at school or at home. 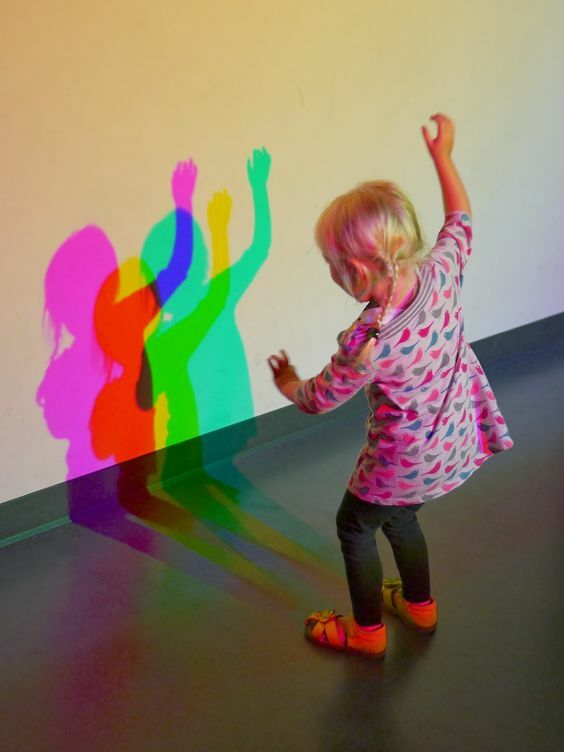 You could argue that a lot of the kind of art children create is mindful anyway, most children are great at using art to express themselves authentically, putting on paper their emotions or the situations playing on their minds, without even knowing it! To incorporate mindful art-making into the classroom, we simply need to make time to create without an end goal in mind, creating for the sake of creating and focusing on the present moment and the paper in front of you, the act of putting pen, crayon, pencil or paint to paper, or even sculpting with clay. Why not put on some relaxing music, give out some paper and ask the children in your class to draw how they are feeling right now. Or if you’d prefer to do something more structured, you could ask students to draw around a repetitive, calming, easy theme like bubbles, triangles, waves, leaves, squares, dots, any shape or likeness you think the kids in your class could recreate easily depending on their age. 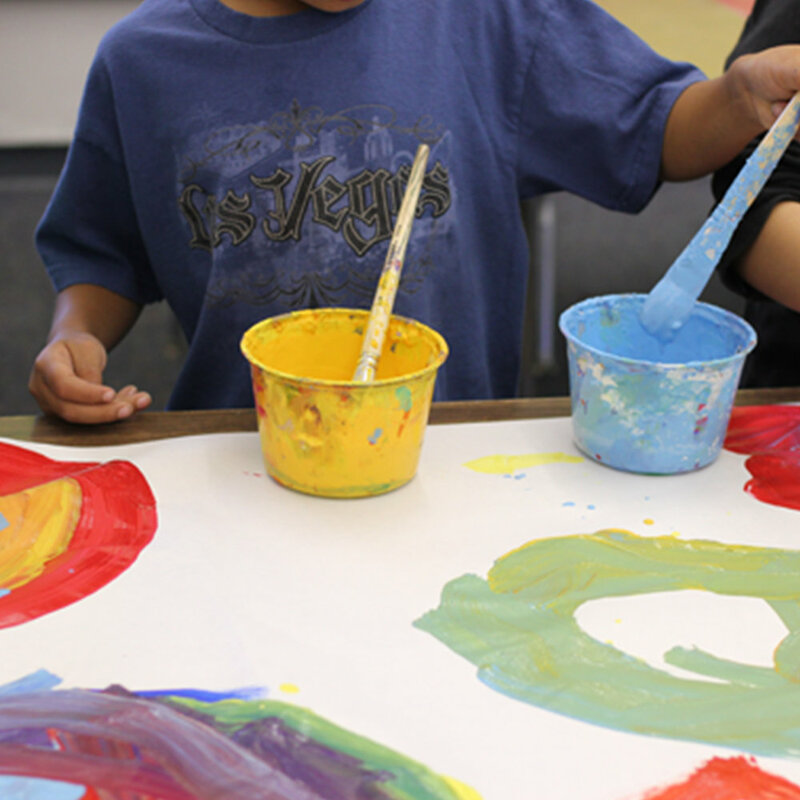 Making time and giving kids permission to engage in the calming, grounding act of art-making is a great way to practice mindfulness. 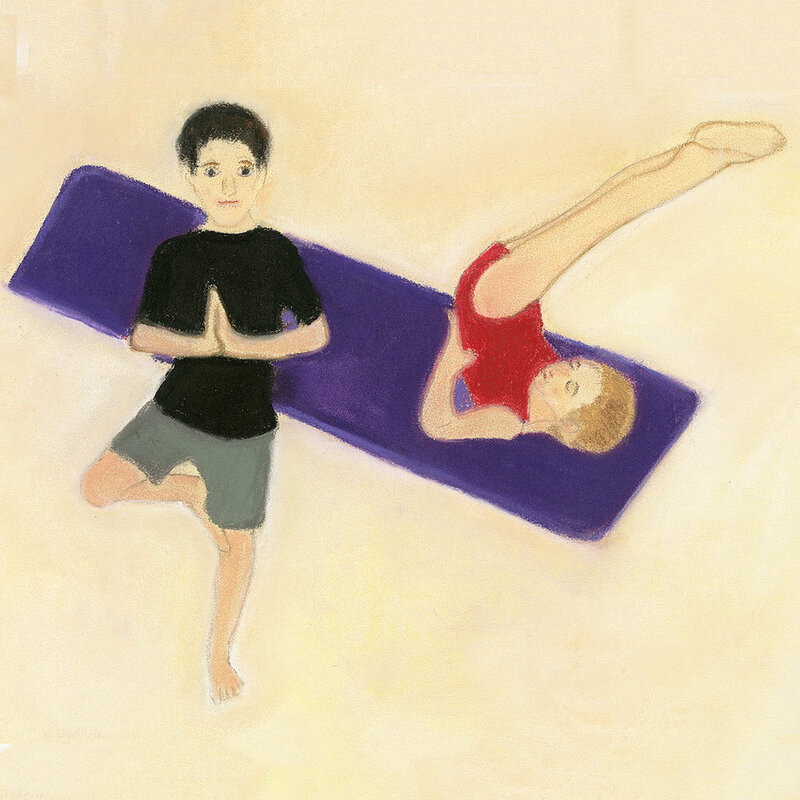 Getting kids into a gentle, calming, healthy practice like yoga from a young age can’t be a bad idea! And making time in the classroom, even just 20 minutes (or 10) whenever you can fit it into your class’ schedule, is enough. Yoga asanas, the physical postures of the broader yoga philosophy, allow us to connect with our bodies, calm our minds through regulated breathing and increase our flexibility and the health of our bodies overall. This is an exercise that appears in our children’s mindfulness book, Making Mindful Magic, available in our online store and on Amazon US and UK. More information on the poses, including pictures on the Yoga Journal! You don’t need yoga mats to do such simple poses, a patch of grass or carpet will do just fine for this easy level. This is a theme that also appears in our book, Making Mindful Magic, often; taking the time to appreciate nature. Stopping to notice all the beautiful creations in nature, from the trees to the waves, to the leaves, to the grass and the sky, to insects and birds, is an easy way to help children to connect with the grounding energy of nature, to appreciate the simple, free things in life. A way to incorporate this theme into the classroom could include a short nature walk somewhere on the school grounds to collect leaves, flowers, pebbles, blades of grass, and taking them back to the classroom, spending time appreciating the colours, shapes, names of each thing collected, perhaps turning them into a collage, gluing them on the page and writing or drawing around this theme. We hope you’ve enjoyed our suggestions for easy mindfulness exercises for children to use in the classroom, and of course, these are all exercises not just reserved for teachers and educators but are ideas you could adapt for home, your therapy practice or studio as well. I have often wondered what has brought me to my passion for mindfulness and mindful living. I often say it is my own exploration into spirituality that has brought me to it but it doesn’t really explain why that is an important passion to even have. Recently I have come to realise more fully that mindfulness is the avenue for opening up space in our lives as we slow it down and become more purposeful and aware of what we are doing so we are open for what life is really about, what are own particular purpose for being here is. Mindfulness is purposefully going about our daily lives in a calm, uncluttered state, without the constant need to be doing, but rather making time and appreciating the ‘being’ instead. There are times when life is so busy that it’s hard but we can also easily lose sight of the need for any reflective, quiet time unless we make a purposeful effort to seek it. By making mindfulness a priority then we are consciously opening ourselves to the possibilities that surround us, the subliminal messages that show us the way forward to what we are seeking. So many people are seeking, they often are looking in the wrong places. They are looking in material possessions as their answer or in adrenalin as their answer whilst ignoring what is often sitting right under their noses. Finding what is under our noses can be found through self-reflection and listening to our intuition, and mindfulness is a vehicle for finding it. We can easily become totally overwhelmed by the day to day trial of what we call living and forget, in the process, the whole big picture of our lives. It is easy to lose our trust in our own perspective and intuition if we are constantly running to everyone else’s agenda. If we try to run our own agenda perhaps in timeframe and priority then we are far more able to make decisions and actions that more whole-heartedly and honestly reflect ourselves and it is in doing this that we discover ourselves and our own true nature and this then gives us clues and shows us the way to discover why we are here and what our purpose is. This then is why children and mindfulness are such an important combination. It seems, very few of us, from my generation spent or indeed were encouraged to learn very much about our true nature and purpose in life. If we as caregivers can install the need for mindfulness then a generation will be positively affected to make time for self-reflection and with it will come the practice to trust oneself and ones’ abilities, to fathom our gifts and what makes us contented and fulfilled. These are the signposts to seeking our true purpose for being here. It seems to me that much heartache can be at least reduced if not alleviated by seeking ourselves through this process. Where I am fortunate enough to find myself for a couple of weeks, visiting my daughter, is Paris where beauty is so easy to find. Beauty is all around me and if I’m living in the moment as is my goal as an advocate for mindfulness then I have to sit up and take notice of it and the effect it has on me. As supporters and promoters of mindfulness for kids, at home and at school, and the role that passing on a mindful approach to life can have on children, we’re always on the lookout for others around the world that share our enthusiasm and beliefs. 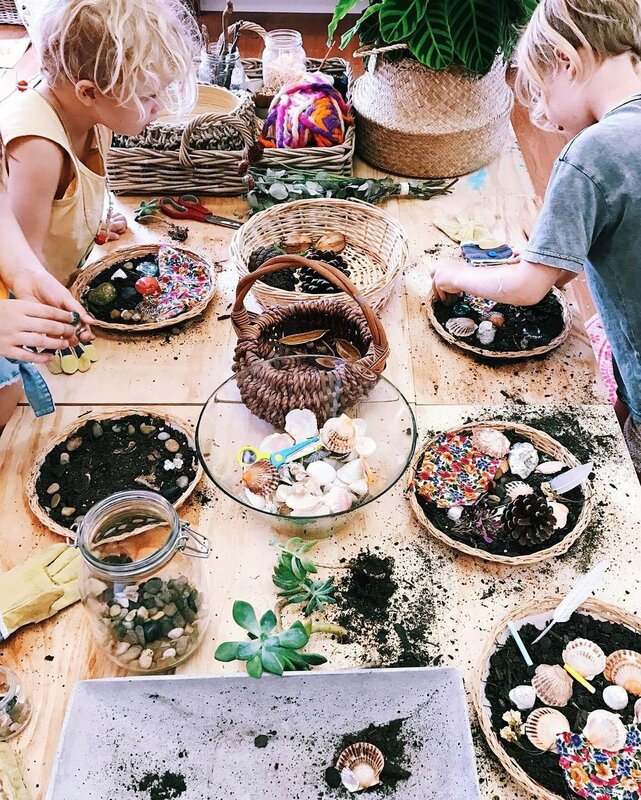 We’ve collected up our some of our favourite organisations and initiatives we’ve come across on Instagram and the internet to inspire you and share examples of people creating change in their communities by teaching kids a more mindful way of living. Whole Beings was founded by two teachers who also happen to be sisters, who believe that the mind, body, and spirit of a child should be nurtured holistically to help them grow into all that they can be. 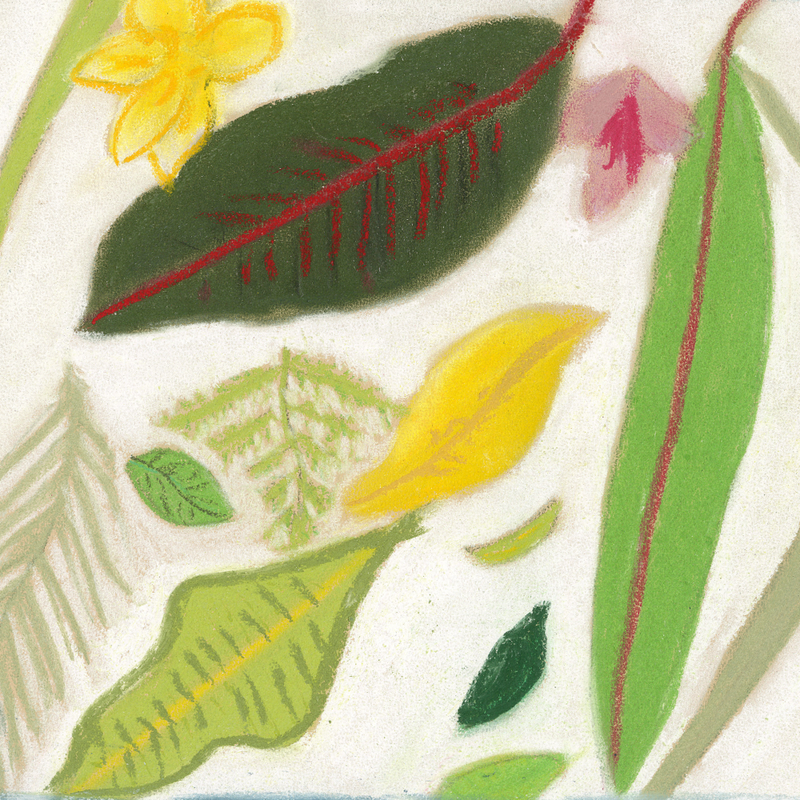 Peace, compassion and gratitude, a connection to the natural world and the community are all part of their belief system they pass on to the children they teach. A holistic non-standard approach to educating each individual learner for who they are is employed here with all their students. Whole Beings have offerings for young children to play, learn and create as well as after-school programs for school-aged children and teens to nurture each child's spiritual growth, guide them to use kindness, positive affirmations, and EFT as a mindfulness tool. Whole Beings’ revolutionary approach to education makes us excited for the future of education systems and all the possibilities we have available to us if we dare to think outside the box! 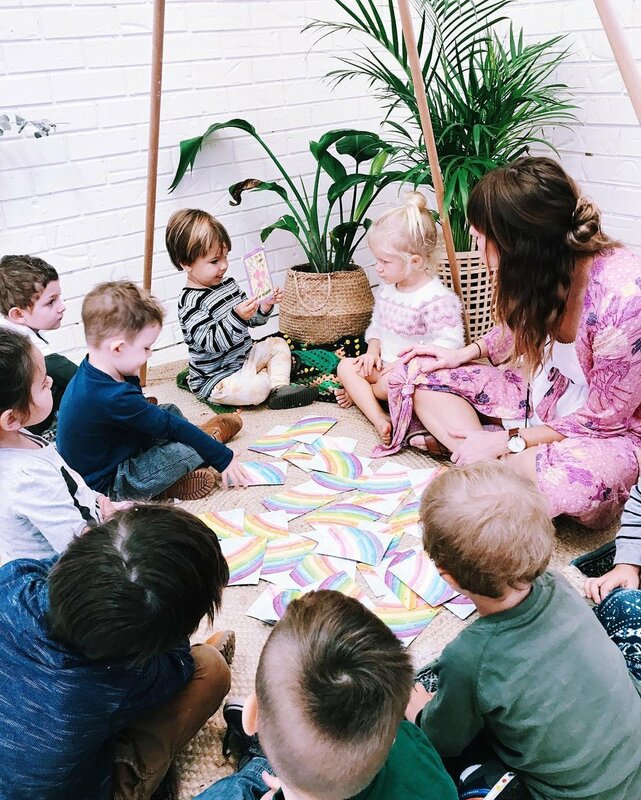 We connect very strongly with Wymbin Yoga’s reason for being, based on ‘a deep belief that by starting with today's youth, we can start to change the world.’ We started Making Mindful Magic because of an awakening in our own lives of the powers of mindful living and everything that comes with it but realised that the place to start was with our children. 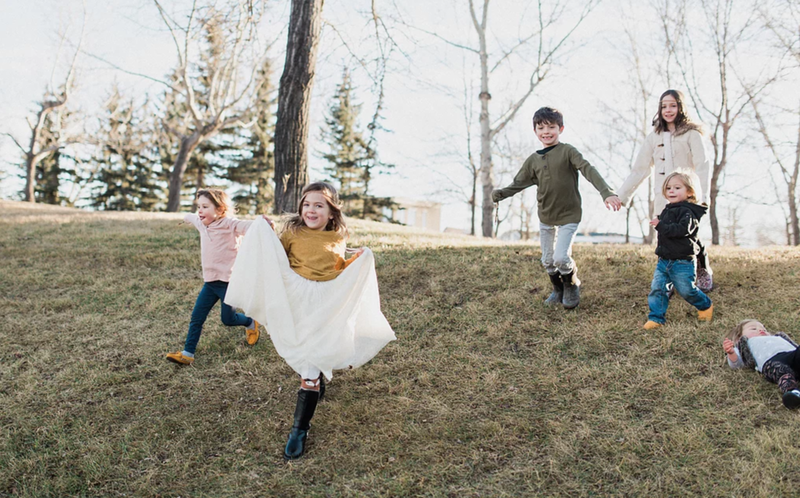 Wymbin is a children and youth yoga studio that focuses on providing families with wellness education, movement-based classes, and an inclusive community environment in Calgary, Alberta in Canada. They believe that through all these initiatives they can help kids flourish and grow! 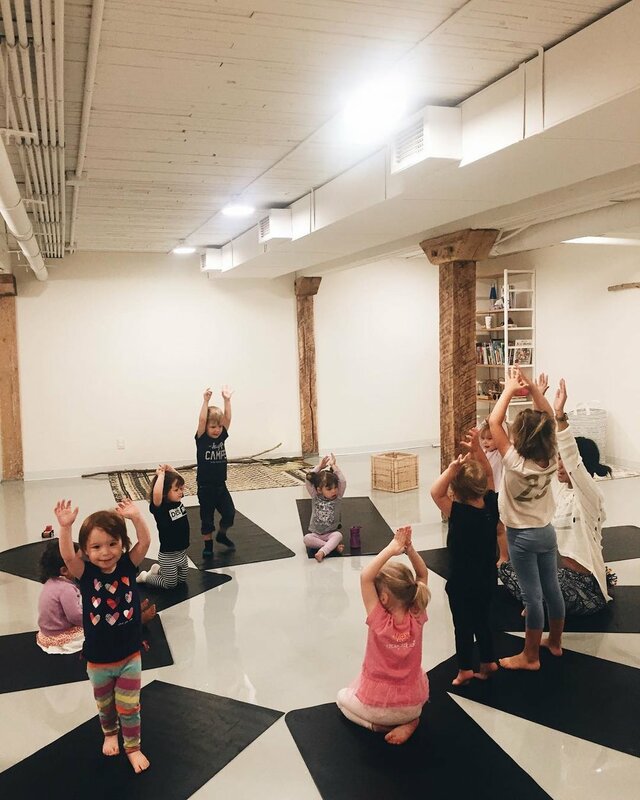 Wymbin Yoga offers a variety of classes for kids including different variations & styles of yoga, dance, movement, meditation, and mindfulness including some very cool sounding parent and child classes families can do together. 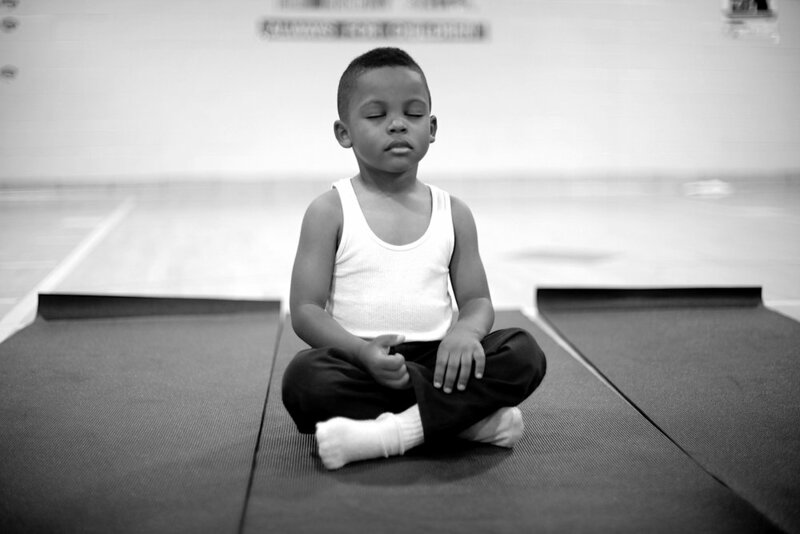 Implementing daily meditation and movement practices in schools and providing high-quality yoga and mindfulness education to individuals and communities. The Holistic Life Foundation is a Baltimore-based non-profit organization committed to nurturing the wellness of children and adults in underserved communities. Through a holistic approach helping children to develop their inner lives through yoga, mindfulness, and self-care, they’ve served 14 different schools in the Baltimore area. The Holistic Life Foundation come in and train the students over a short period of time to lead their own classmates in stretches, breathing exercises, centering exercises and meditation. Students continue to lead their classes through these exercises regularly once the foundation has done their job, meaning these practices are sustained over long periods of time leading to happy, healthy, stress-free, relaxed, and peaceful students. We found this incredible organisation through a great article on CNN talking about how The Holistic Life Foundation helped a school replace detention with a Mindful Moment Room to help kids re-centre and think about what they’d done instead of being punished. 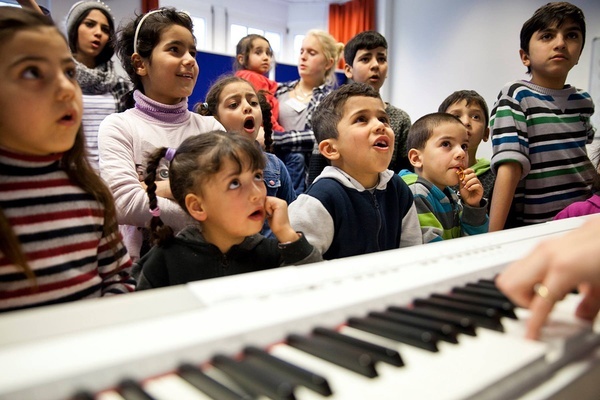 In 2016, The Hutto Project came into an emergency refugee camp outside Berlin with the objective of creating a creative music and performance program for the asylum-seeking children living in the camp. For the duration of the project, which has now ended as the camp is no longer in operation, they provided space, time, and musical instruction — 90 minutes, three times a week — for children ages three to fourteen from Syria, Iran, Iraq, Afghanistan, Palestine, Moldova, and Vietnam. Together, they explored music theory and performance, created original choral music and movement pieces, and collaborated with artists of all disciplines and ages. The objective of the initiative which we wholeheartedly applaud and agree with, was about providing consistency to these children, displaced from their homes, countries and everything they knew, fostering self-expression, and building bridges between the many cultures living in the small community. They found that structure also had a big impact on the kids, whose days were otherwise free-form, chaotic, and random in the absence of a formal schooling program in the camp. We believe strongly in the power of music and creative expression as important parts of mindful living for kids, music can even act as meditation as we wrote about recently in our post on 5 Easy Ways to use Music as a Mindfulness and Meditation Tool for Kids. Access to good, fresh, real food and the basic skills to cook it has the power to transform kids’ lives, and that’s what the Jamie Oliver Food Foundation is all about. Jamie’s Food Revolution aims to improve the health and happiness of future generations, through the food they eat. From their food education programmes to their national and international campaigns that influence policy on key issues, they aim to revolutionise the way people feed themselves and their families. Two of Jamie’s projects we love are; the Kitchen Garden Project, empowering primary school teachers to integrate growing and cooking into the school day, and the Ministry of Foods practical and hands-on community-based cooking programme that teaches people of all ages how to cook. Food is the only fuel we give our bodies, and part of a mindful approach to life is being mindful of the food we eat and how we eat it, looking after our bodies, minds and spirits and giving us and our kids the best chance to thrive and grow. Music can be a powerful, practical tool to bring mindfulness and meditation into our lives as well as our children’s lives. Here we present five easy ways to use music as a tool for mindfulness and meditation with the children in your lives, be it at home or in the classroom. Read our recent more general posts on music for meditation and mindfulness here and here for more tips and information on the links between these two calming, positive practices! In our ebook (find it here), music is used as a tool to calm children in preparation for a better night’s sleep. In the same way, music can be used anytime as a tool for calming children down, to a place where it is easier to be peaceful and more focused on the present moment in much the same way meditation is used. In the article above you’ll find suggestions for some pieces, you might like to try. Remember any song can be an action song – just add some arm movements. Get the kids to make them up if you’re not feeling too creative or just because kids have brilliant ideas! Music is an inspiration and accompaniment for free dance which itself is a cathartic tool to release deep emotions and to focus on the present moment in much the same way as meditation. Children love to move – it is almost a pre-requite of childhood so use music to help establish dance as a tool for self-expression, self-love and self-release. Any of the above pieces (in tool 3) can be used for moving in free dance. We need to establish as adults that there are no rules for free dance and self-expression, it is all good! It releases the soul and acknowledges an acceptance of ourselves and others in a most profound and healing way and without judgment we can be fully ourselves in the present moment. 5. As a tool to write about our feelings and thoughts. Journaling is long held method for connecting with the present moment. You can use emotive music pieces to encourage children to focus inwardly in a similar way to meditation used before writing. A little quiet listening to music before writing about feelings is a great way to focus. You can use fstimulus statements like, ‘When I listen to this music I feel…..” or “When I listen to this music it helps me remember …..” Very young children can draw instead of writing with similar results. Again the emotive music in Tool 3 could be used but experiment and try different styles and pieces – most likely different emotions and situations will be evoked. Let’s be part of making music, medicine for the soul – for ourselves and our children! Are you feeling grounded and connected to yourself or like most of us do you need ways to bring yourself back to yourself? After my blog post last week offering five ways to re-ground after a time out of routine, I felt the need to pay particular attention to a simple thing every day for a week that was especially focused on helping me to feel centred, to feel connected with my real self and to feel especially in tune with nature. This week I’m going to share with you how that week looked for me and to offer you the challenge to devise something similar for yourself– just one thing a day that will help keep you present and grounded. In my part of the world it’s school holidays, a perfect time to engage with your children and encourage them to participate too. It can be a daily focus while you have a little more time than usual. I’m hoping you’ll discover that it actually takes very little time to incorporate this practice into your regular life – it just takes a commitment to do it and the self-knowledge that mindful activities make you feel calmer, less stressed and more connected to the real you! I made a simple pumpkin soup– pumpkin, leek, cashews, ginger. I took the time to take it slow and focused fully and carefully on the task at hand, cutting, smelling the aromas, enjoying the stirring, allowing it to simmer for a long time. I felt nurtured and centred as I followed on with the slow theme and leisurely relished its warmth as I ate. Sunsets are one of my favourite things. They inspire me so much and remind me how amazing nature really is. When I feel connected with nature, I feel connected with me! There was nature calling me again to engage with it – to come down the path, to sit in the winter sunshine and feel a part of the real world of nature. All it takes is a commitment to notice what is in your immediate surrounds and then to take a few minutes to open to it. Using all our senses is part of being in the present moment and to be mindful. To really listen to the rustling trees made me feel very calm and peaceful and energised in a way that felt inspiring. There is something very profound about sitting on the earth under a tree – I felt the pull from above and below as I sat peacefully and felt connected to the earth. I carefully took the time to follow the shadows cast by the magnificent canopy – a calming and mindful moment. One of my very favourite books is Women Who Run with the Wolves by Clarissa Pinkola Estes. When I feel scattered I randomly open it and it always offers me a chapter that fits perfectly with me and brings me back to my inner self and connection. It’s hard to think of anything else when you are making art, or music, or dance or writing from your heart or whatever it is that means being creative for you. Just opening my pastel box almost forces me into the present moment like no other! Seven days of purposefully setting aside a little time to engage in a mindful activity gave me the feeling of being grounded and connected that I was seeking. Perhaps you feel motivated to do the same and to encourage the children in your lives to participate too. We’d love to see and hear about any ways you engaged. Post here………? This weekend was a musical extravaganza for me –on Friday night I went to a ukulele jam session at a local café and then Saturday my choir performed with a number of others in an incredible afternoon of a combined choir experience. It made me feel happy and uplifted for sure as all those endorphins flooded into my body and soul but it also reminded me how mindful making music really is! I think it’s virtually impossible to not be present when you are making music of any sort! That’s a gift for any person and any family to embrace! Last week I wrote about the need to share in a simple way our values and passions with our children. My blog told the story of a friend, a dedicated dad who shares his mindfulness passion by engaging his daughter through verbalising what he sees, what he hears, what sensations he’s feeling as they ride his bike together and she reciprocates and the passion grows very organically and without a lot of effort, but with a lot of purpose! You can use musical instruments for mindfulness in a similar way – you don’t need expensive, authentic instruments for this either, although if they are at your place already go right aheadand use them. If you don’t’ you can make music from a myriad of home-made ‘instruments’ – rice filled jars make wonderful maracas! You can also easily make home-made drums with empty cans, sturdy brown paper and rubber bands. Bells inside whisks are pretty amazing and check this out for a myriad of other ideas - https://au.pinterest.com/explore/homemade-musical-instruments/?lp=true Find some music you all like and play along together. Pretty simple isn’t it and there you are sharing the gift of mindfulness with the children in your lives! Most of us love listening to music but there is active and passive listening and only one is mindful, although both are highly enjoyable! Passive listening allows you to go about your business with music playing in the background but active listening through which you can purposefully set aside some time to sit and listen and engage with music, invites us to be mindful. This is something you can easily share with the children in your lives. I favour something that aligns with the emotions so you can feel freely and to let more feelings arise. The point here is to let yourself be reactive to what you hear – it can be through movement and dance or you can sit and let the feelings that arise to just be held withininstead of trying to supress them which is never helpful in the long term. Caring and sharing are closely linked – we all care about our children, use whatever opportunities that arise to share your passion to be mindful. Music adds such a wonderful, connected opportunity to being mindful so making time to include it in family life makes a whole lot of sense! We recently changed our name from Making Mindful Children to Making Mindful Magic, the reason being we became increasingly aware that mindful children need mindful adults in their lives. That’s where and how it starts if we are to encourage and foster a new generation of mindful souls! Many of our posts and blogs challenge adults to think mindfully, to be in the present moment, thoughtfully living each experience as it comes and to be mindful enough to make choices in our lives that reflect our own values. When we are mindful ourselves we become open to paying the gift forward. Where and how do we start sharing these values and beliefs with the children in our lives? It starts at the very grass-roots level of being the person you want your children to be, to provide experiences that show them what you value and to encourage them to value those things too so they can bring them into their own lives as they grow. If we’re talking about mindfulness as one of the values that we want to share then be the person who values slow, quiet time, who appreciates the need togive purposeful attention to your children and to your own activities and to make choices that reflect your values. It can start simply with sharing. I know a very connected young father who passionately and regularly shares his beliefs with his children. He told me the simple story of when out bike riding with his three-year-old as his passenger, he shares his passion for being present with her. His story inspired me to write this verse, so moved was I by this unpretentious but effective way of sharing ideals and fostering passion. This is what we love, the simple ways of sharing the gift of mindfulness with the children in your lives. 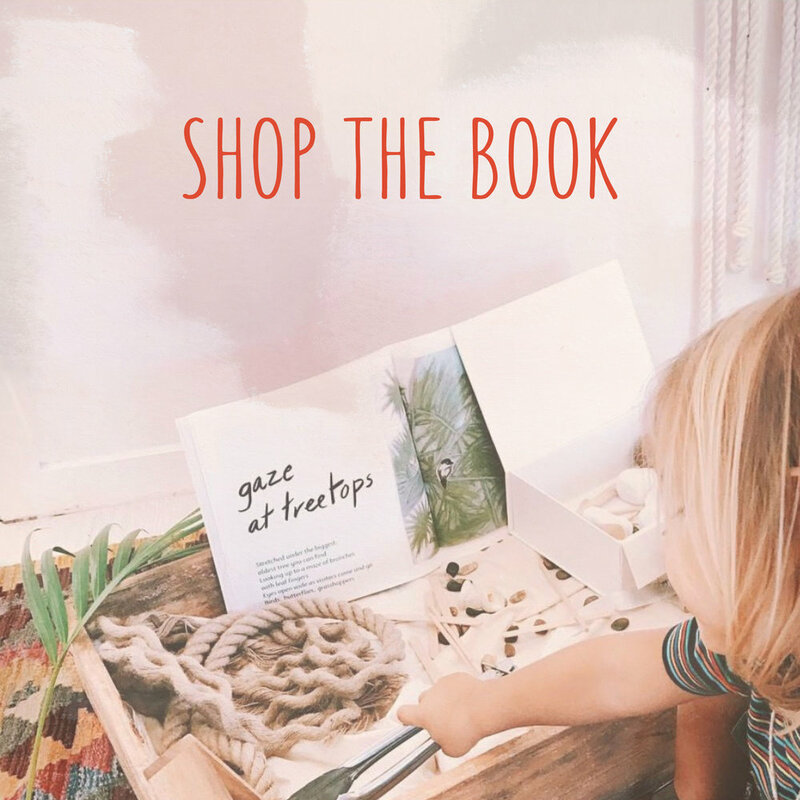 We like to think our book Making Mindful Magic is a tool you can use to begin and to foster the act of sharing your passion for mindfulness. It's available on our website here in Australia and on Amazon in the UK, here and in the US, here.